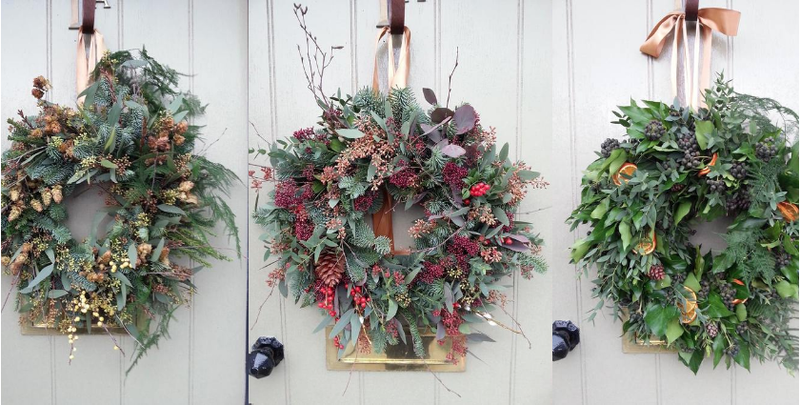 Create your own Christmas door wreath to welcome your visitors this festive season, with the guidance of Linzi from Jack Fleuriste. Hosted in the creative surroundings of Hill Street Design House, you will use the most fragrant and beautiful winter foliages and berries to create wreaths that you will be proud to hang on your door. Tickets are £45. All materials and tools will be provided and light refreshments will be served during the workshop. Linzi (Jack Fleuriste) is an accomplished florist, a member of the Glasgow Wedding collective and RMW. Her seasonal wreaths last extremely well, right through till February! Class is limited to 10 people, Contact Linzi now to secure your space!